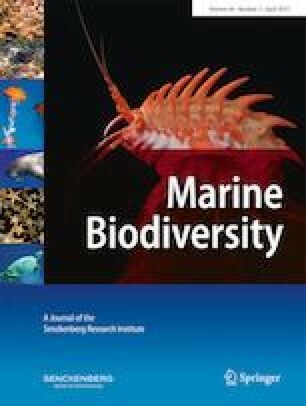 This study aimed to describe the composition of mollusk assemblages in subtropical Brazilian mangroves with different levels of urbanization in their watersheds. Mangroves are important ecosystems, which are vanishing worldwide due to human impacts. The knowledge about the consequences of human pressure on the fauna of these ecosystems is still incipient. In addition, although Brazil is the country with the second largest mangrove area, there is a lack of studies on the mangrove fauna in this country. Mollusks are the second most abundant group of mangrove invertebrates and can be useful indicators of mangrove health. For this reason, mollusk species were assessed in two mangroves surrounded by a dense human population and in two mangroves away from urban centers. A total of 3820 individuals, representing 15 species, were sampled. The results revealed that the mollusk abundance, diversity estimators, and sediment organic matter content were not good indicators of the effects of urbanization on the mangroves studied. However, the species composition of mollusk assemblages differed according to the urbanization level. This survey of the mangrove malacofauna represents another step toward the effort to investigate and conserve the fauna of these important estuarine environments. The online version of this article ( https://doi.org/10.1007/s12526-018-0883-8) contains supplementary material, which is available to authorized users. We thank Leonardo Mesquita and Dra. Barbara Valentas for their invaluable help with fieldwork and species identification. We also thank the organization COTEC - Comissão Técnico Científica for the field license grant and the university UNESP - Universidade Estadual Paulista, Campus Experimental do Litoral Paulista, for the infrastructure, which has made possible to develop the study. This study was supported by FAPESP (Fundação de Amparo à Pesquisa do Estado de São Paulo), proc. no. 2011/01493-5, and in part by FAPESP, proc. no. 2010/11253-9.